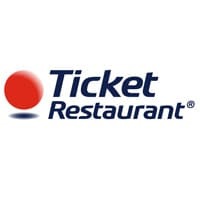 “This important testing project marks a watershed for the entire industry and charts the path for the future development of meal vouchers,” says the Ticket Restaurant and Luncheon Vouchers operator. Prepaid corporate services leader Edenred is to test NFC as it seeks to eliminate the paper vouchers used in its Ticket Restaurant meal payment programme. The company, which provides businesses with prepaid vouchers that their staff can redeem for meals through its Luncheon Vouchers and Ticket Restaurant schemes, is working with the NFC & Mobile Payment Observatory at the Polytechnic Institute of Milan to test Ticket Restaurant Mobile, an application that allows users to pay for their food using an NFC mobile phone. Initially some 80 trialists will use BlackBerry Curve 9380 smartphones to pay for food at 60 merchants — including cafes, restaurants and shops — near the university. Users are able to pay “without pressing any key,” says the company, by just presenting their phone to the merchant’s contactless terminal. A complete transaction takes less than three seconds. Users can also search for participating merchants nearby and see their location on a map as well as share information and comments on the restaurants via the app. They can also use the app’s social features to vote for their favourite eateries and invite friends to lunch. “This important testing project marks a watershed for the entire industry and charts the path for the future development of meal vouchers,” states Edenred’s Andrea Keller. Partners in the project are Blackberry maker Research In Motion, terminal supplier Ingenico Italia, and systems integrator Reply. Edenred, previously known as Accor Services, has long been evaluating NFC as an alternative to paper vouchers with initiatives including a two year project in Belgium that reported its results in early 2010 and the introduction of a dual interface card based programme in the country later the same year.